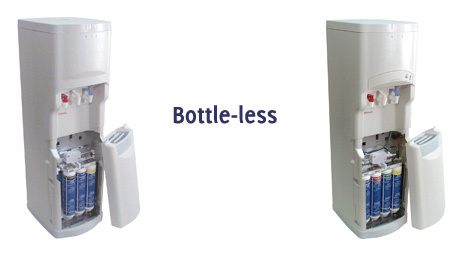 For high-quality hot and cold drinking water at your home or office, we offer bottle-less coolers. Wow! No more heavy bottles to: lift, store, trip over, or pay for! You can save both time and money for your home and office. With our professional installation and affordable service plans Bottle-less coolers are a great solution for anyone who loves great tasting drinking water.